When it came time to start solids for Isabelle, I made her food. I wanted to be sure I knew what was going in. Sometimes, though, it was convenient to have store-bought food readily available, like when we went on vacation. I stumbled across GoGo squeeZ at a store last year and was impressed as soon as I saw them. GoGosqueeZ is applesauce, no ifs, ands or buts. They have a few flavours (Apple Peach, Apple Mango, Apple Strawberry, and a few others) but all the ingredients are clearly there for everyone to see. 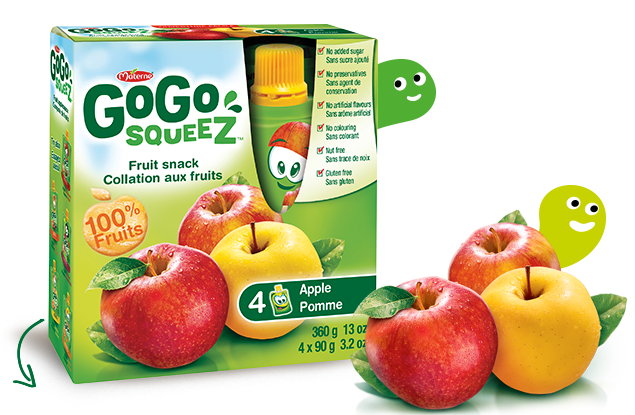 GoGo squeeZ isn't marketed at the baby demographic, although babies can certainly eat it - it's applesauce for goodness sakes! But it's great for an older kid's snack, easy to store and keeps really well. 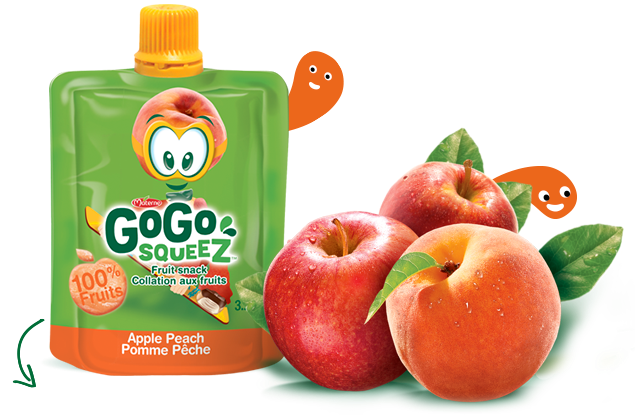 You can eat the GoGosqueeZ right out of the pouch, and opt to serve it room temperature or cool. The pouches are recyclable by Terra Cycle, are easy to open and the sauce is nut free, gluten free, no added sugar, salt, preservatives, no colouring, etc. It passes the food label check for me! Believe it or not, my hubby takes GoGosqueeZ as snacks. They're easy to eat in the car with no mess. Would you like to try GoGosqueeZ for yourself? Simply Suppa readers have the chance to win 4 boxes (that's 20 pouches!) of GoGosqueeZ! All you need to do is fill out the Rafflecopter below. Disclaimer: I was provided product to review. All opinions expressed are my own.